We are still working out plans for our annual mid/late January club event at Chicago Indoor Racing, but here are a few extra events for those who need some racing time.. If you are interested, add a comment and we will see if we an get a team together!! WRAPUP: Great friends, great food, great time!! We had a large turnout this year, and it was a fun time visiting and catching up with people. Lots of snacks, deserts, munchies and drinks. 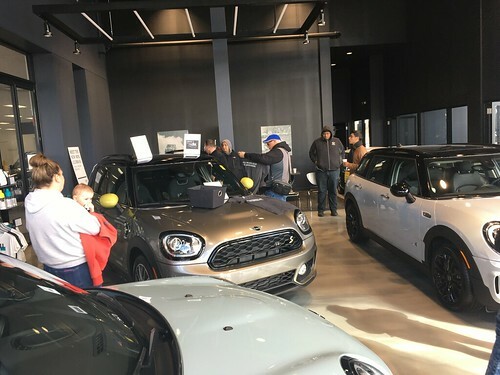 We had some incredible raffle presents and giveaways from Bill Jacobs MINI, Ridemakerz, Knauz MINI, as well as from members and friends of the Chicago MINI Motoring Club. Huge thanks to Taylor for hosting this party again!! Email links to photos to Steve@chicagominiclub.com and I will link them in here.